I loved the idea of gifting my homemade cake stands to friends and families for the holidays. (Thanks everyone!) Thing is – you can’t really give a cake stand to someone without having treats on it, especially if they know that you love to bake. So I tried to figure out what seasonal recipe I could make for the stands that I could prepare ahead of time, freeze, would appeal to everyone I know (gluten-free, vegan, egg allergies, potato allergies etc), and will stay on the stand with little concern of things breaking. Tall order, right? 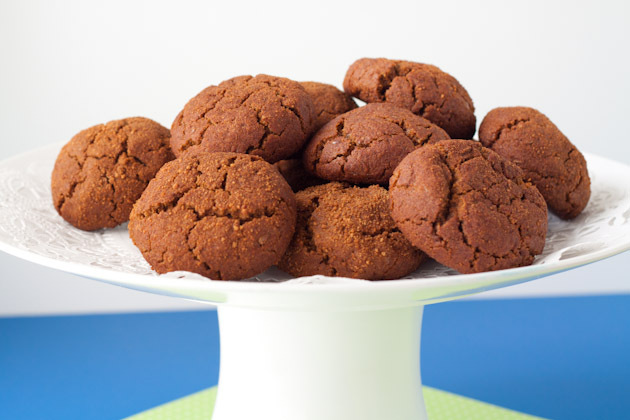 These gingersnaps are full of flavor. 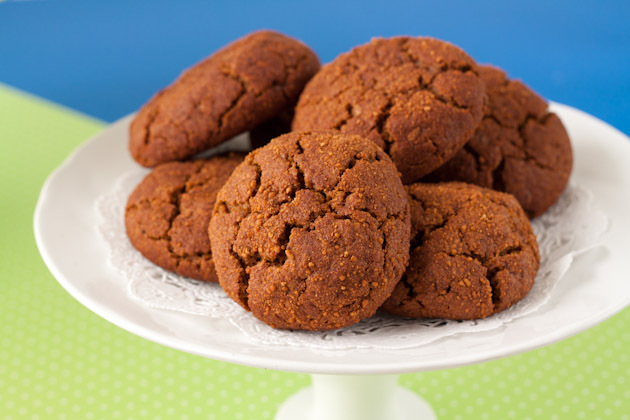 They’re chewy, moist, and have a crackly top, as any gingersnap should. 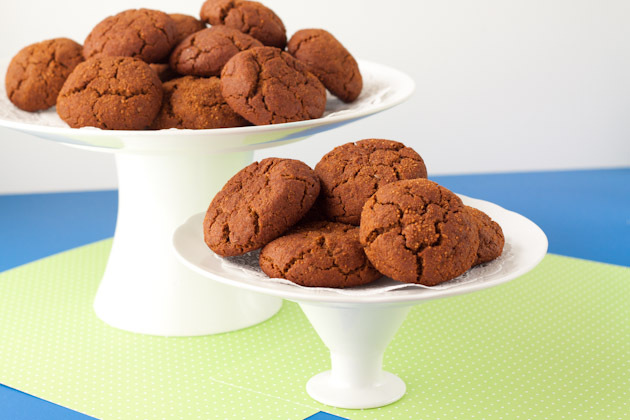 If you don’t like your gingersnaps chewy, no worries, just bake them a bit longer and they’ll crisp up perfectly! Combine cinnamon sugar ingredients in a small bowl. Set aside. 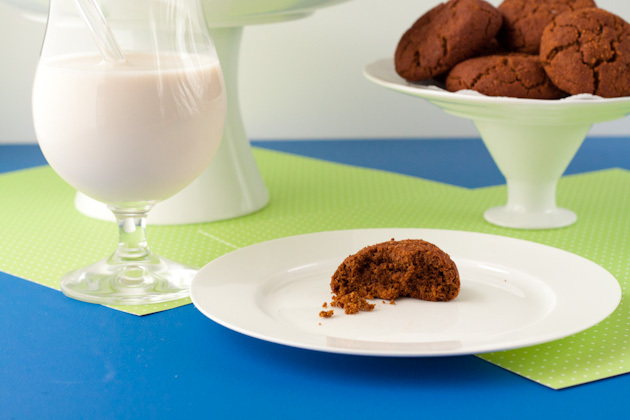 Combine all wet ingredients in a large bowl with a hand mixer until fully incorporated. Pour dry into wet while the hand mixer is running. Mix for no more than 30 seconds, just until all ingredients are nicely combined. Scoop 1.5 tablespoons at a time and roll into balls with your hands – dough will be sticky, don’t worry. Roll balls in cinnamon sugar and place on prepared sheet. Bake for 15 minutes. The longer you cook, the crispier they will be. I like mine a little chewy, so I took them out at 15 minutes. 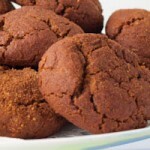 Kevin likes his gingersnaps snappy, so I cooked a second batch for 20 minutes juuust for him. Don’t let my organization fool you. The house is a disaster and I’ve just realized my left sock has gone missing. You can’t win ’em all my friends, you can’t win ’em all.